We offer assistance to our trained staff/students to get work requests submitted online. You may contact our Rebel Repair Help Desk for emergency or work order status inquiries at 702-895-5324 or rebelrepair@unlv.edu. Report items that are broken. If unsure whether a work order is needed, contact your facility manager, residence assistant, residence life coordinator, or the Rebel Repair Help Desk. Trained staff/students should submit work orders online and allow 24 to 72 hours for response unless the request is an emergency such as flooding toilet, cannot lock door, broken window, etc. 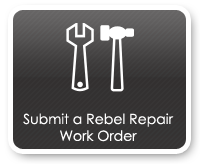 EMERGENCY WORK ORDERS should be called in during regular business hours to the Rebel Repair Help Desk at 702-895-5324. Maintenance work requests are received and processed though the Rebel Repair Help Desk. Upon review, the work request will be approved or denied (if incomplete request) and a confirmation will be emailed to the requestor of work order status. 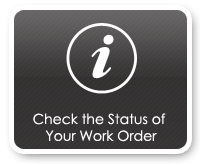 Once a work order is completed, the requestor will also receive an email confirming completion.